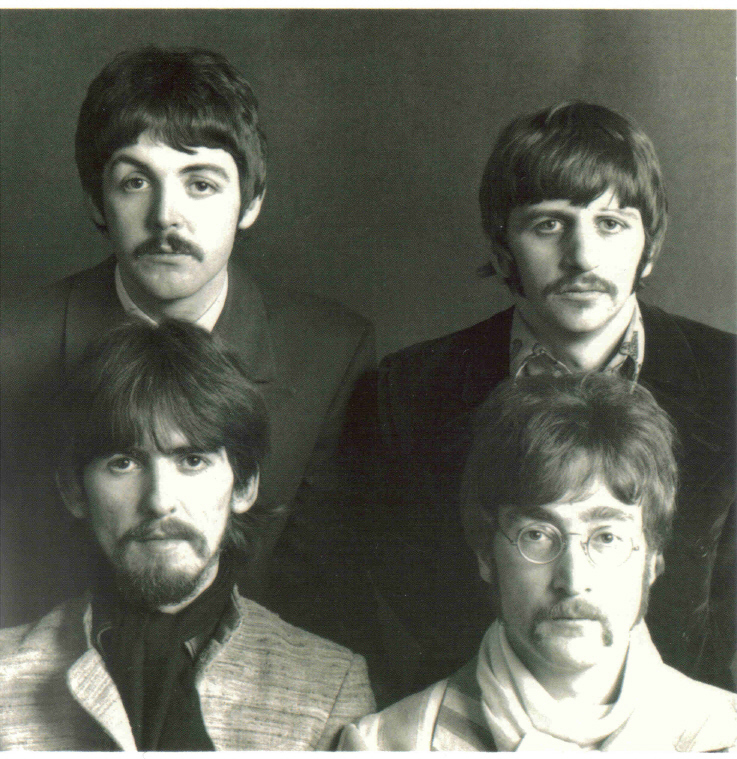 The Beatles Collection » 20. 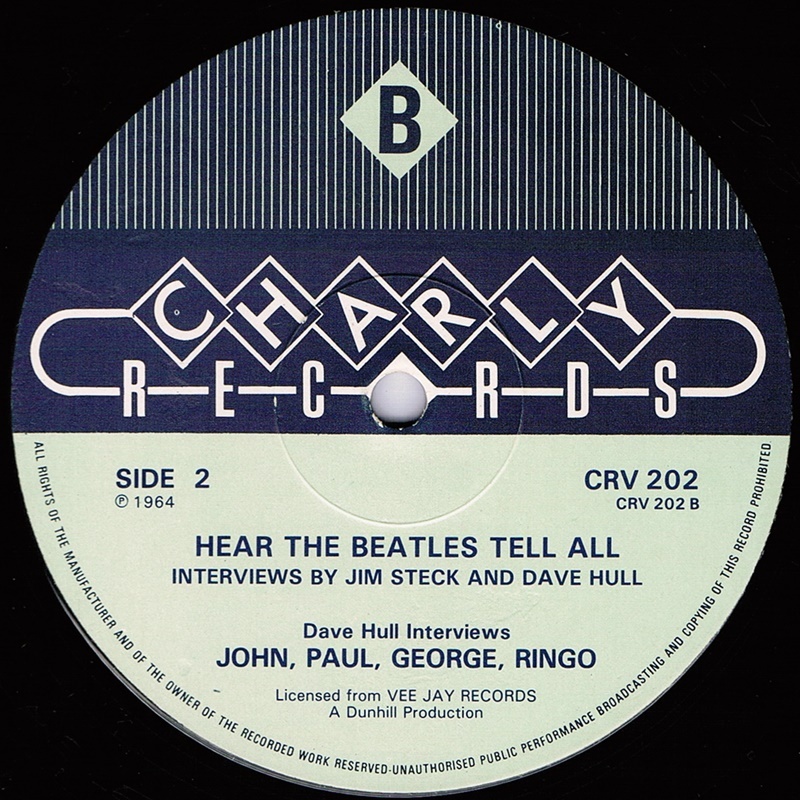 Beatles on Charly Records. 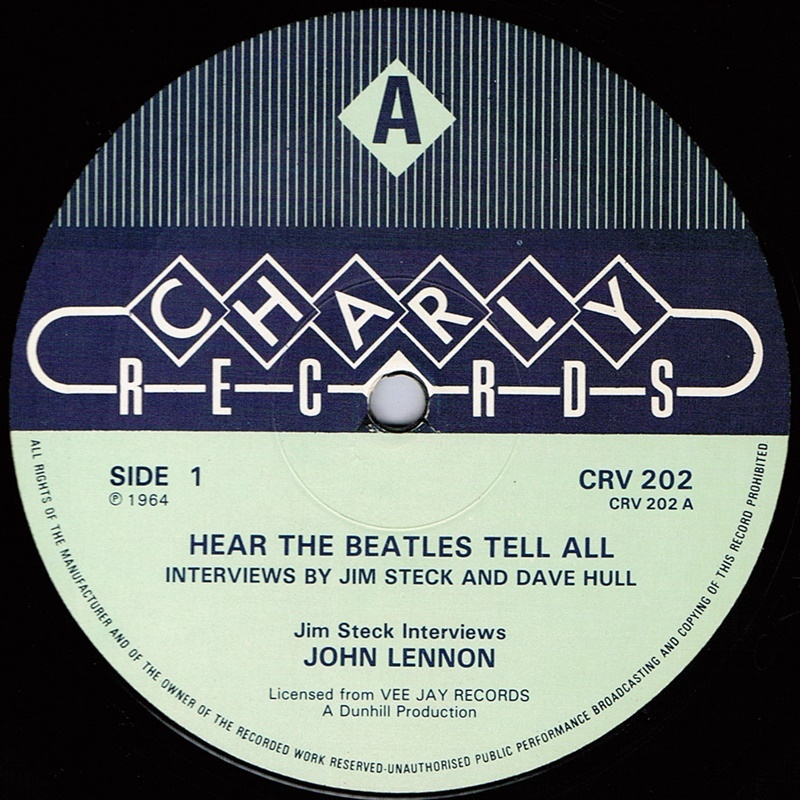 Hear The Beatles Tell All, Charly CRV 202. 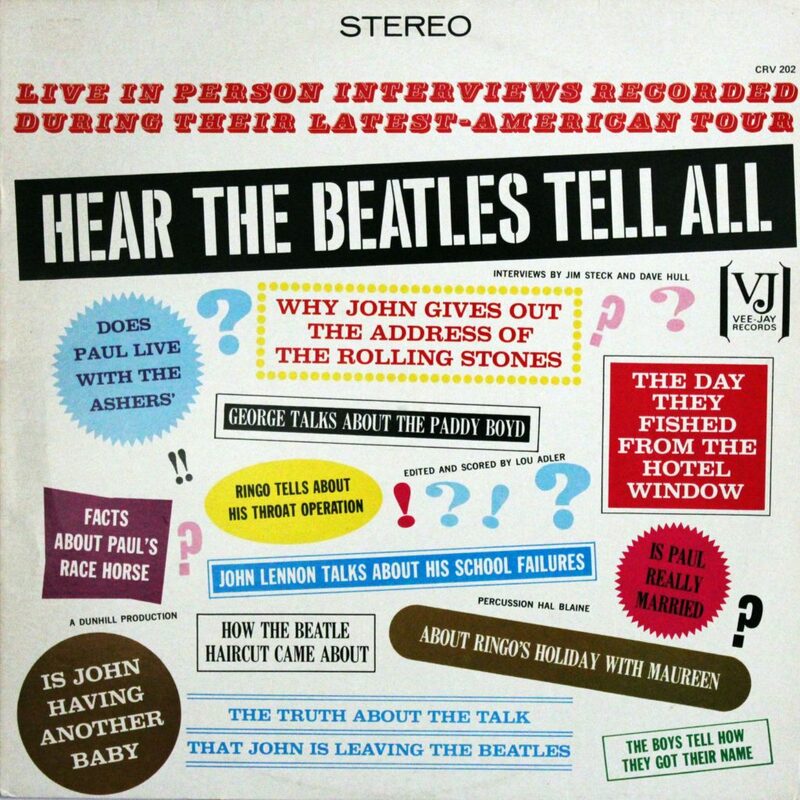 Jim Steck, a radio newsman with KRLA in Los Angeles, and Dave Hull, a popular disc jockey with the same station, each conducted interviews with the Beatles during their 1964 American tour. After portions of these interviews were aired on KRLA, Vee-Jay approached the pair and reached an agreement to release the interviews on an album. Originally was issued in America by Vee Jay Records in November, 1964 (Vee-Jay PRO 202). In 1979, a resurrected Vee-Jay International re-issued the record in a stereo cover prepared from the album’s original artwork. Although the cover has the words “STEREO” at the top, the record neither has stereo markings not play stereo. But England had to wait until 20th February 1981 before the same album was released here. By that time of course, most interested U.K. Beatle fans already owned a U.S. import copy. Release: February 20, 1981. The envelope is a complete copy of the 1979 American edition. Was even saved the logo of Vee Jay. 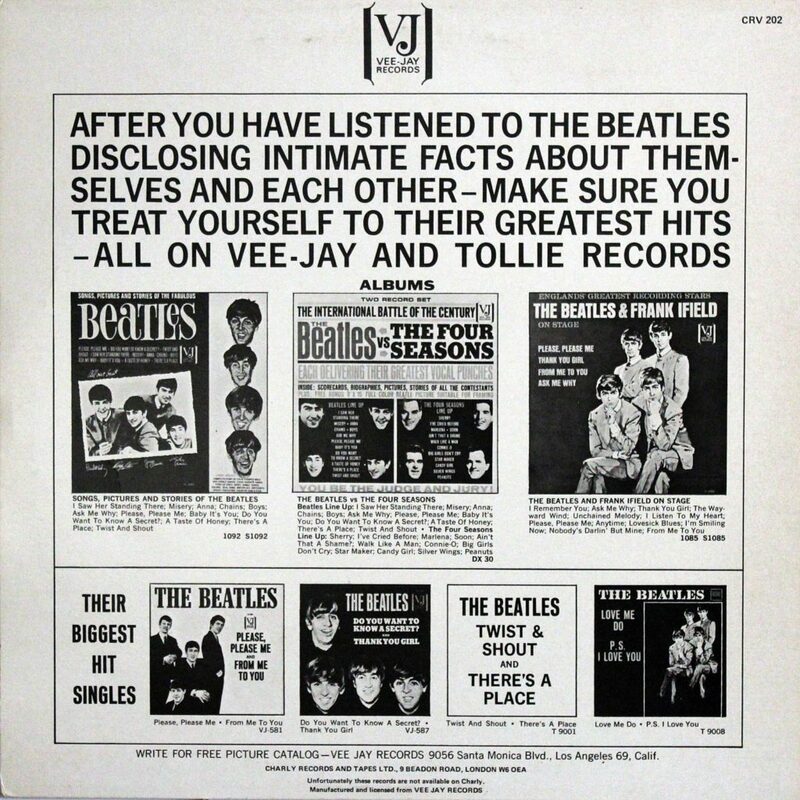 In order not to mislead the buyers with pictures of other albums of Vee Jay Records, on the reverse side there was appeared inscription “Unfortunately these records are not availabel on Charly”. Record has blue labels. Matrix numbers (hand-etched): Side A: CRV 202 A-1 =BOPPIN’ BOB=; Side B: CRV 202 B-1 EG =De Lane Lea=. 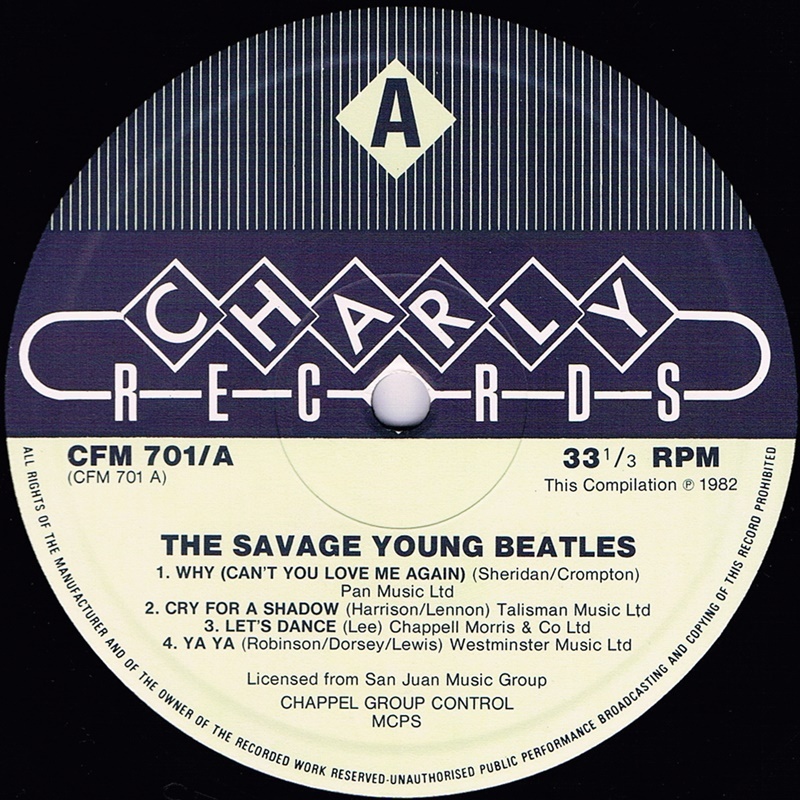 The Savage Young Beatles, Charly CFM 701. Charly Records is a label specializing in reissuing old music, most notably from the Sun Record Company and Vee Jay Records catalogs. It was founded by Jean-Luc Young in France in 1974, moved to England in 1975. 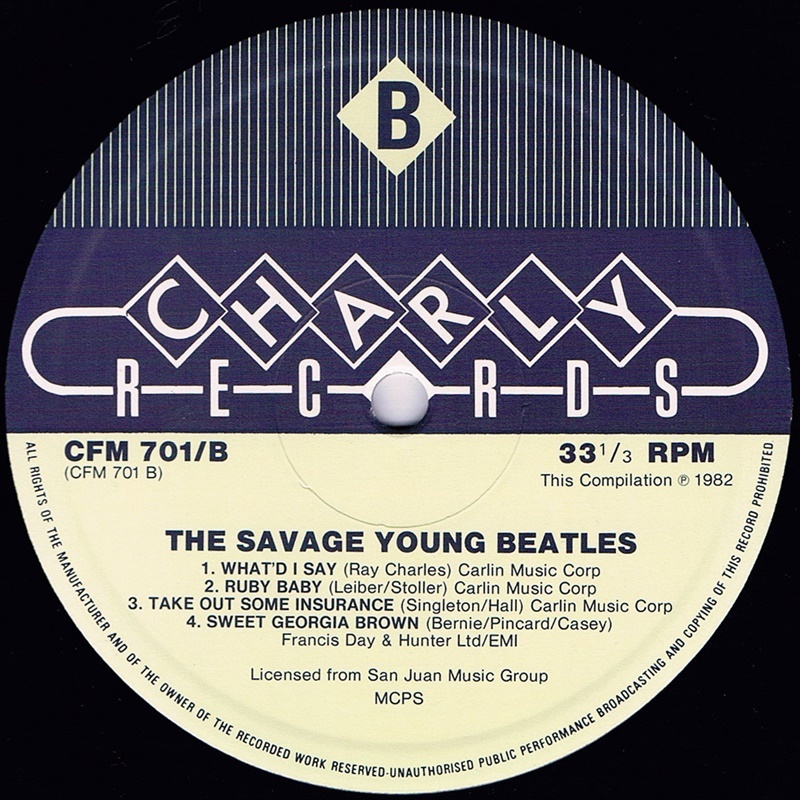 Although a British (UK) company, during their history Charly Records established several associated companies for licensing and rights, including Charly Records International APS (based in Denmark) and Charly Holdings Inc. (registered in the USA). According to Giorgio Gomelsky, a producer who worked with Charly Records in the 70s, the label repeatedly released and sub-licensed recordings without the approval of artists. Release: July 30, 1982. 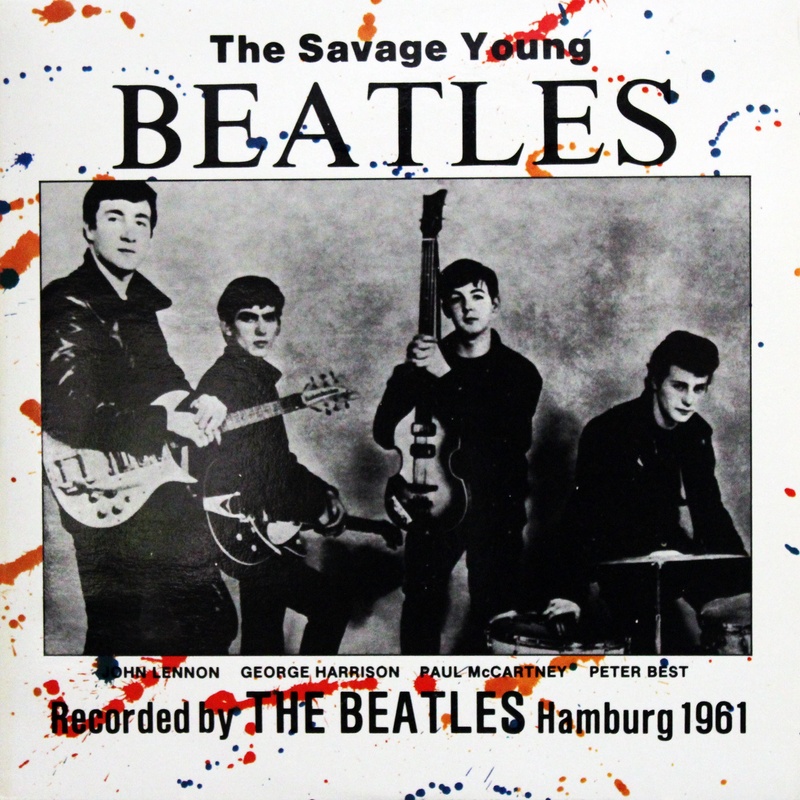 The Savage Young Beatles – this is the first official British issue of the samename American album which was released in October 1965 (Savage BM 69). 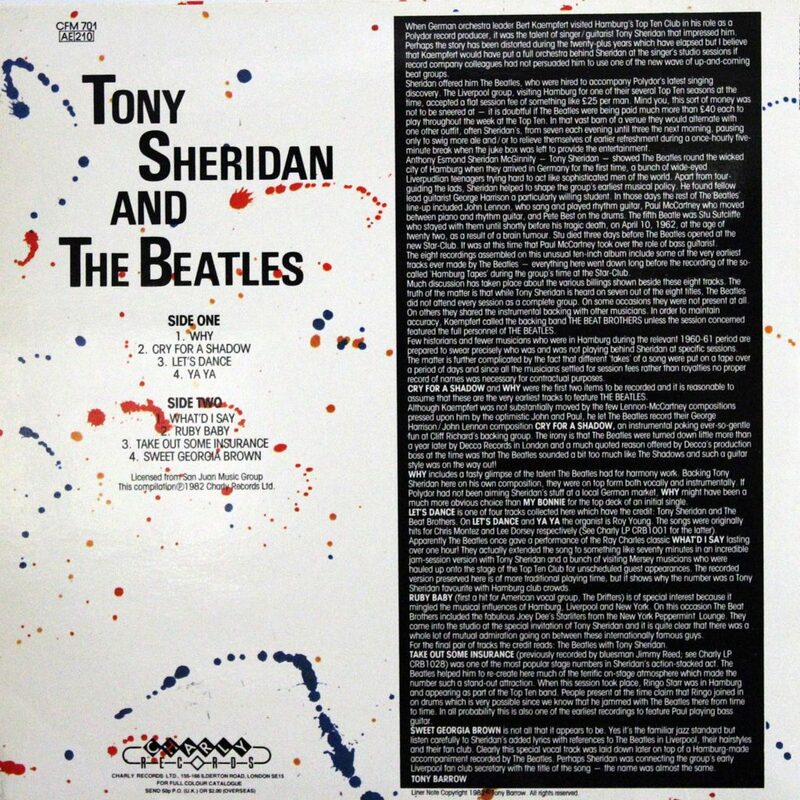 The album includes 4 early tracks recorded by the Beatles with Tony Sheridan in Hamburg in 1961 (“Cry For A Shadow”, “Sweet Georgia Brown”, Why” & “Take Out Some Insurance”) and 4 tracks was recorded by Tony Sheridan’s band in same time. Due to the small number of tracks, the size was reduced to 10 inches, the album design was changed. On the back side appeared in annotation written by Tony Barrow. The 10″ record has white blue labels. Matrix numbers (hand-etched): Side A: CFM 701A =BOPPIN’ BOB=; Side B: CFM 701B cts.